In 1876 a wooden house still stood at No. 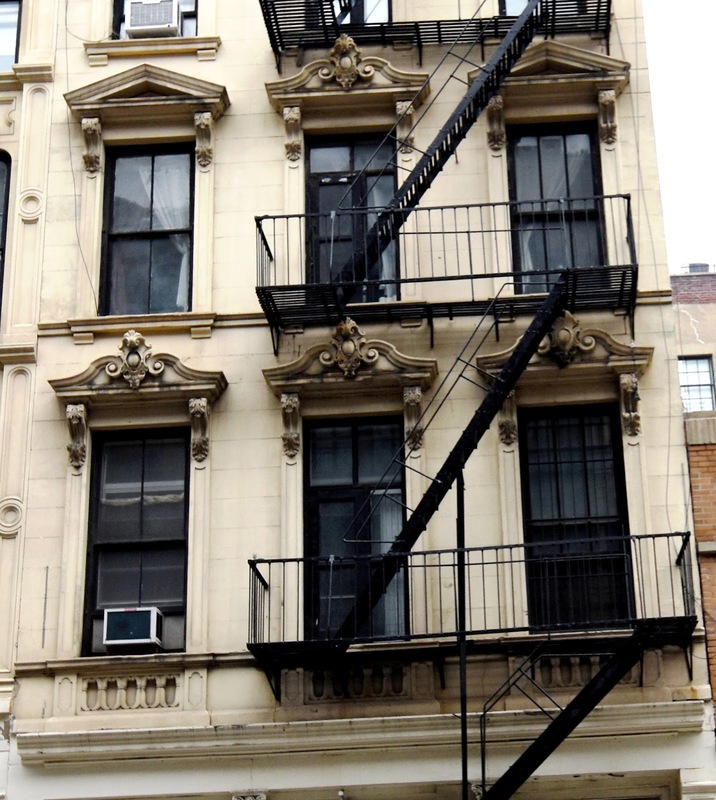 92 Reade Street, a reminder of the pre-Civil War era when the neighborhood was quietly residential. In the rear yard was a small brick shop building. In February that year Mary E. Earle bought the property in foreclosure, paying $4,600 (around $105,000 today). Mary apparently recognized potential in the rapidly changing district. On October 30, 1877 the lot was advertised “For Sale at a Bargain…price, $16,000.” The frame house and shop were sold and resold with lightning speed. In August 1878 William Zschwetske took title from John E. DeWitte and his wife Naomi, who lived in Boston. The loft and store building was completed at a cost of $15,000. 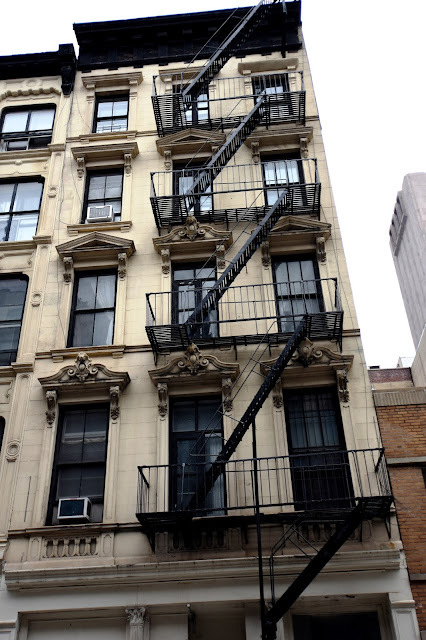 Four floors of gleaming white marble sat above a cast iron storefront. At street level flat paneled side pilasters and fluted Corinthian columns framed an offset retail space and a wide entrance to the upper floors. The building’s relatively narrow 25-foot width prompted McIntyre to install a clever side panel to the loft entrance which, when opened, transformed the door into a wide service entrance capable of accommodating large items. The second floor window pediments were similar to the cresting found on elaborate Victorian sideboards or dressers. On Saturday, February 16, 1889 two veteran thieves broke into the Copeland factory. Thomas Hanley also went by the alias Thomas Cleary; and his cohort, George Morton was known both as George Wilson and “Big Tommy.” The men hired an express wagon and parked it in front of No. 92 Reade Street. The rig was necessary to handle the amount of their anticipated haul. M. F Copeland’s boot and shoe business seemed to be doing well. And so when the firm’s bankruptcy was announced on April 23, 1891 it “caused a genuine surprise,” according to The New York Times the following day. The embarrassment of bankruptcy was made worse three months later when Copeland and his brother, Harry, were charged with fraud. 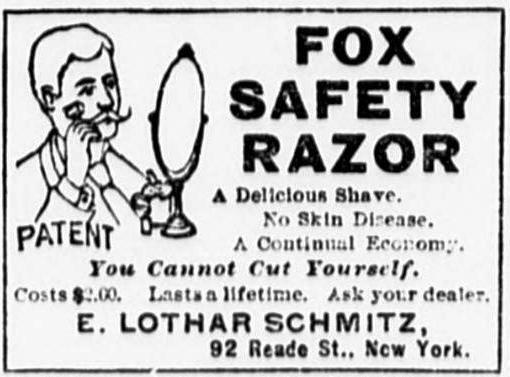 By 1894 Charles Fries was leasing space in the building to E. Lothar Schmitz, manufacturer of safety razors. 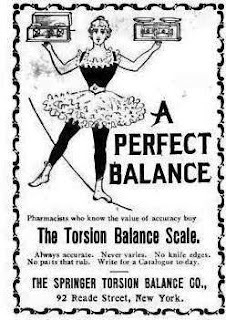 The Fries brothers formed another firm, the Torsion Balance Company by 1899 which manufactured a variety of scales: milk scales, drug scales, and textile scales among them. 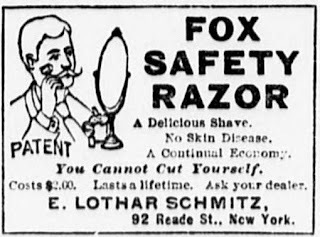 In 1898 the health of Charles Fries began to fail. 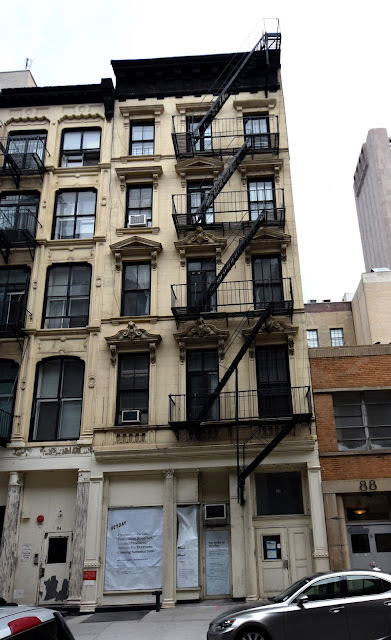 On February 21, 1900 he died at the age of 69 in his home at No 15 West 82nd Street. The operation of Fries Brothers passed to his nephew, Dr. Harold H. Fries, a son of Alexander Fries. He also became the President and Treasurer of the Torsion Balance Company. Dr. Harold H. Fries died at the age of 80 on June 30, 1946. Although tenants changed throughout the rest of the 20th century--including the Yorktown Electrical Supply Co., for instance—the striking marble building did not. In 1982 it received a splash of color after Port Richmond High School senior Fran Peduzzi won the “Paint a Bright Future for New York” contest. The aspiring Staten Island artist was one of 200 finalists from city high schools in the competition sponsored by the Hudson-Shatz Painting Company. Her winning mural was applied to the side of No. 92 Reade Street in November that year. The Max Schwerin House - No. 448 West 23rd St.